Check back in frequently as more events are added! Click on an event for more information and it will link to their website. Easter 2019 is on Sunday, April 21st. Put on your bunny ears and hop over to Fayette Mall to welcome the Easter Bunny in the Dillard’s Court! At 9:00am, enjoy a special storytime with the Bunny and special guest princesses, including Snow White & Rapunzel! At 9:30am, kids will learn how to do the “Bunny Hop” along with the Bunny and other special guests. Enjoy treats and activities as we welcome the Bunny to his home at Fayette Mall! It will be a sweet and special morning for kids and parents to celebrate together. We hope to see you there! Four-legged family members want to see the Easter Bunny too! Pets must be on a leash or in a carrier, and pet owners are responsible for cleaning up after their pets. Please enter through the mall entrance next to Talbots. Pets will not be allowed in any area of the mall other than the designated Easter Bunny photo area. We appreciate your understanding. The Bunny loves the Big Blue Nation! Get your picture taken with the Easter Bunny and the Kentucky Wildcat and Scratch mascots during Big Blue Bunny Night. Join us Sunday, April 7th, from 9am – 11am for Bunny Cares, a special sensory-friendly event for children with special needs and their families to enjoy a visit and photos with the Easter Bunny in a calming environment. Families will enjoy activity stations, beverages, and breakfast foods. Lights and music will be muted where possible. Please RSVP in advance by reserving ONE TICKET PER GROUP/FAMILY. Photo packages are available for purchase during the event. Travis Clark Photograhpy offers Easter Bunny pictures and real live rabbits! This year they are setup inside Joseph-Beth at The Mall at Lexington Green. Look for them in the kids section on the lower level. Everyone enjoys taking turns getting bunny hugs and handshakes. Ride along with the Easter Bunny as you enjoy a 90 minute train excursion. Train departs at 1:00 pm. 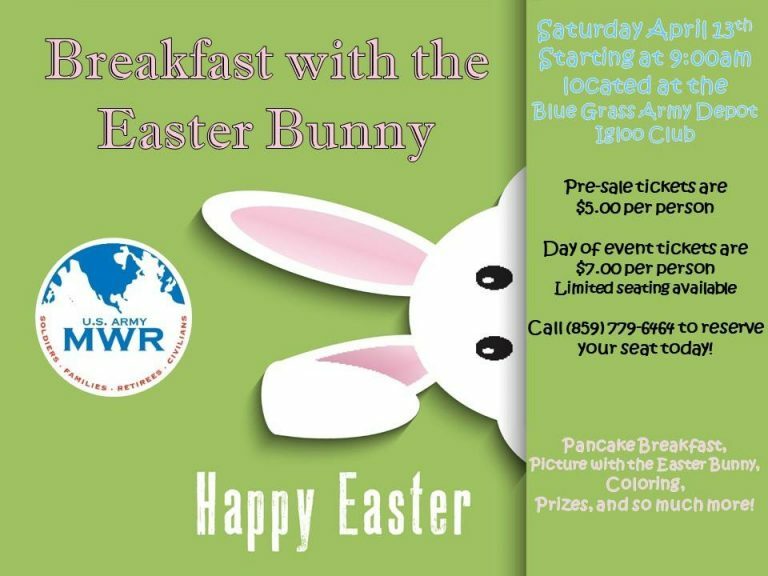 Come to the Blue Grass Army Depot Igloo Club and enjoy a pancake breakfast, a picture and story with the Easter Bunny, coloring pages, PRIZES, and so much more! Make sure you RSVP because seats are limited! We’ll have kid friendly games, prizes, and a photographer to capture one FREE digital image of you and your sweet family if you want to bring them! Come dive for Easter Eggs and receive a goody bag. Winners in each category will receive a prize basket. Join NCC Kidz for our annual Easter Treasure Hunt with Birth-3rd Grade kids! We will be having our annual Easter Egg Hunt following our Saturday Story Time! 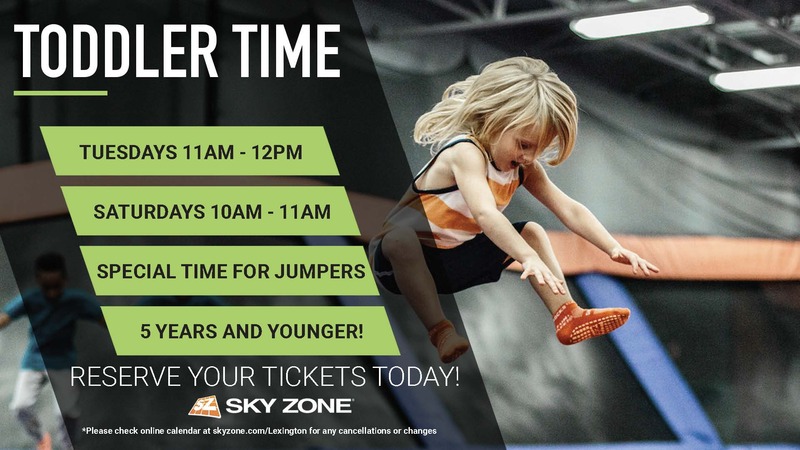 This date is specially for kid’s ages 1-5 years old. There will be hidden eggs to find filled with candy and prizes. Enjoy special food, music and a hunt for more than 1,500 Easter eggs! Win a prize by finding the special Golden Easter egg, and take pictures with the Easter Bunny! Join Passport Radio and the Frankfort Youth Football League for the first ever Easter Eggstravaganza! The Frankfort Youth Football League will be giving out free hot dogs, chips, and cookies. *The Egg Hunt will also be split into age groups: 1-4, 5-8, 9 and up. The Egg Hunt will start at 3 and end at 4. *Capital Plaza Hotel will have a Jelly Bean contest. Guess the number of Jelly beans in the jar for a chance to win 2 passes to their buffet. *Thorn Hill Education Center the FLIP (Families Learning through Interaction Program) will have a bunny toss. *Franklin County Humane Society will have a coloring station and adoptable pets. Join us on Palm Sunday after the 11 AM service for our annual Easter Egg Hunt! Bring the kids and invite all of your friends! Join us for our annual Resurrection Egg Hunt on the grounds at Centenary! Be sure to register for this egg-citing event for children and parents! Search for thousands of treat-filled eggs plus enjoy refreshments and pictures with the Easter Bunny. All activities are complimentary. Event concludes at 2:00pm. Register online starting March 14. No pets allowed, aside from service animals. Breakfast at 9 am, Egg Hunt begins at 9:30. Please bring a bag or basket to collect eggs. Ages 18 months to grade 5. The event is free and open to the community. There will be egg hunts, pictures with the Easter bunny, inflatables, games and a painting project for all ages. 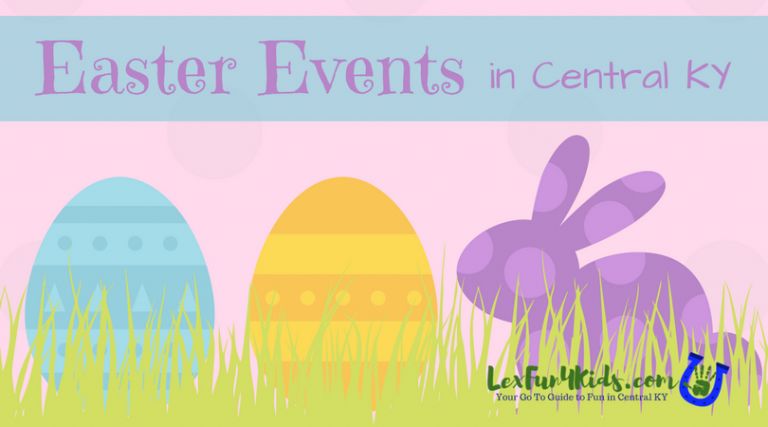 Celebrate spring with this egg-citing family event! Kids of all ages are invited to hunt for eggs, meet the newest additions to the Farm family, make a craft and much more! Return your eggs to candy stations to receive treats! In addition to our regular egg hunts, your family is invited to participate in the Village-wide golden egg hunt to win a fantastic gift basket! Food trucks will provide a variety of meal options and the Shaker Village bar will be open for adults in attendance. Tickets are limited per hunt time to ensure a good experience for all. The egg hunt field will be divided by age groups during each time. Please bring your own basket. Adult supervision required. Hop on over for a special day filled with EGGciting fun! Meet and greet the Easter Bunny, enjoy some EGGcellent games and watch as our Zoo animals take part in some EGGstraordinary fun. Bring your own baskets and join us for free egg hunts for children 11 and under. This event is FREE with Zoo admission or membership. Want for an EGGstra special to start the day? Try our Easter Brunch (reservation and ticket required). We are thrilled to once again host the Easter EGGSTRAVAGANZA!!! This year promises to be better than ever. With a day of fun and games planned we hope you make it out. Festivities began at 11 AM and go to 1 PM. Everyone is invited out to attend this celebration on the front lawn here at Old Fort Harrod State Park! Sponsored by the Harrodsburg Kiwanis Club this event brings out hundreds of youngsters of all ages. Games and booths and the Easter Bunny too. Enjoy egg hunts at both church campuses.